NEW YORK -- Starbucks is giving its baristas a shot at an online college degree, an unusual benefit in an industry where higher education is often out of reach for workers. The coffee chain is partnering with Arizona State University to make an online undergraduate degree available at a steep discount to any of its 135,000 U.S. employees who work at least 20 hours a week. The program underscores the predicament of many workers who earn low wages, don't have much job security and often hold down more than one job. It also highlights the stark disparities in advancement opportunities between the rich and poor, and how a traditional college education remains a near impossibility for so many. At an event in New York City on Monday, CEO Howard Schultz told an audience of about 340 Starbucks workers and their guests that the issue was personal because he was the first in his family to attend college. "I could care less about marketing. This is not about PR," he said of the cynicism he's already encountered about the program. U.S. Education Secretary Arne Duncan also appeared on stage to tell the crowd that education has become increasingly crucial to succeed, given the disappearance of blue-collar jobs that pay well. Duncan urged workers to show other companies why they should follow in Starbucks' footsteps. "Think of the example you can set for the rest of the nation," Duncan said. "If you guys can do this well ... you're going to change the trajectory of the entire country." Tuition and room and board has climbed over the years, reaching an average of $18,400 last year for local students at public schools, or $40,900 for private universities, according to the College Board. With prices rising, student loan debt has tripled since 2003 and is now the highest form of household debt after mortgages, according to the Federal Reserve Board of New York. Michael Crow, president of Arizona State University, said college has moved in a direction "where it's all about exclusion" and that public universities need a new approach to making education accessible. He shot down the notion that an online education is an easy way out. Starbucks Corp., based in Seattle, said it doesn't know how many workers will apply for its prokgram or how much it will cost over time. One Starbucks employee from Los Angeles, Michael Bojorquez Echeverria, said he works up to 75 hours a week, including at another job, and attends community college at no cost. But he plans to apply for the Starbucks program because he thinks it will offer greater financial security. He said he will miss is the socializing that comes with attending school in person. "But hey, if they're going to be paying my fees, I can manage," he said. Zee Lemke, a Starbucks worker and union organizer in Madison, Wisconsin, said she thought the program could benefit some workers. But she also noted the limitations of the program, since the only option is to earn a degree from a single university's online program. "Actual in-class experience matters," Lemke said. Starbucks said workers will have the freedom to pick from 40 educational programs. And they won't be required to stay with the company in exchange for their education. As with most matters involving financial aid, the terms of the Starbucks program are complicated and would vary depending on the worker's situation. For the freshman and sophomore years, students would pay a greatly reduced tuition after factoring in a scholarship from Starbucks and ASU and financial aid, such as Pell grants. It would work in much the same way for the junior and senior years, except that Starbucks would reimburse any money that workers pay out of pocket. Online tuition at ASU can vary but is about $10,000 a year. Most Starbucks workers would likely qualify for a Pell grant, which can be as high as $5,730 a year. Starbucks did not say how much money it is contributing to the scholarship it's providing with ASU. 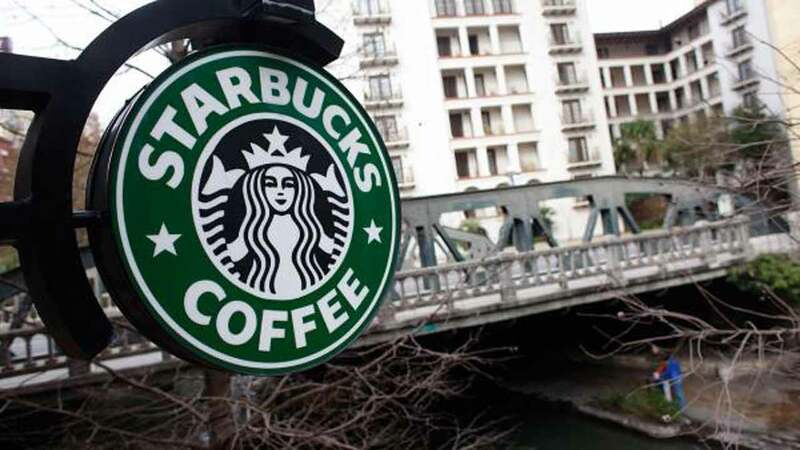 Arizona State University's online program, which already has an enrollment of more than 10,000, stands to benefit from the students Starbucks will send its way. There have been other efforts at offering low-wage workers education benefits. In 2010, Wal-Mart Stores Inc. started offering partial tuition grants for workers at American Public University, a for-profit, online school. Starbucks also already has program that reimburses workers for up to $1,000 a year at City University of Seattle or at Strayer University. The company said that will be phased out by 2015 in favor of the new program. Workers would have to meet the same admission standards as other ASU students. Only workers at Starbucks' 8,200 company-operated stores would be eligible. Another 4,500 Starbucks locations are operated by franchisees. The program is also available to Starbucks' other chains, including Teavana tea shops and Seattle's Best.